As suburban boundaries expand, deer lose their natural habitat, making encounters between deer and homeowners almost inevitable. 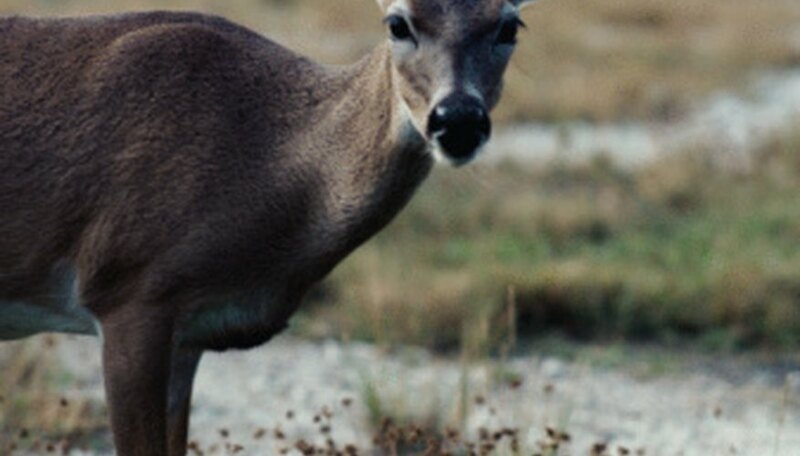 Although some plants are more deer-resistant than others, hungry deer will eat almost anything. Deer occasionally may cause severe damage to gerber daisies, while zinnias are seldom bothered, advises the Rutgers New Jersey Agricultural Experiment Station. Plants with soft, lush vegetation are more often eaten than woody plants or highly aromatic varieties. Deer are most likely to destroy plants in the spring when lush new growth emerges and when the deer are especially hungry after a long winter. Deer are less likely to damage plants later in the summer when the plants are mature and the stems are more woody. Interplant gerber daisies with deer-resistant plants, such as yarrow, chives, tansy, buttercups or goldenrod. Try contact or scent repellents, or install fences.